I decided to add a tailpiece to my SC-2, now I really love this guitar. ...it came stock as a string through. Keep the legend alive, buy new Tokais! Nice! What is the difference in tone? I must confess, it's been lying in my storeroom cupboard for a few months so I'd forgotten what it sounded like before the mod. 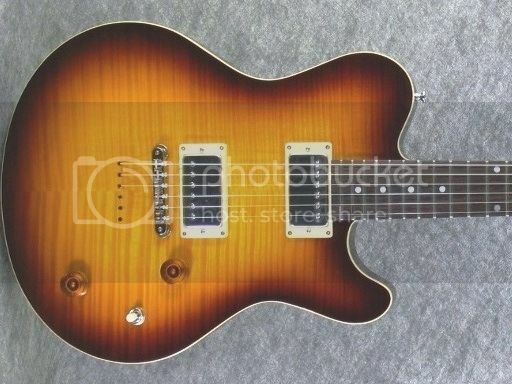 It's just a great guitar, resonates like crazy, fat chunky neck, pretty much sounds like an LS model. 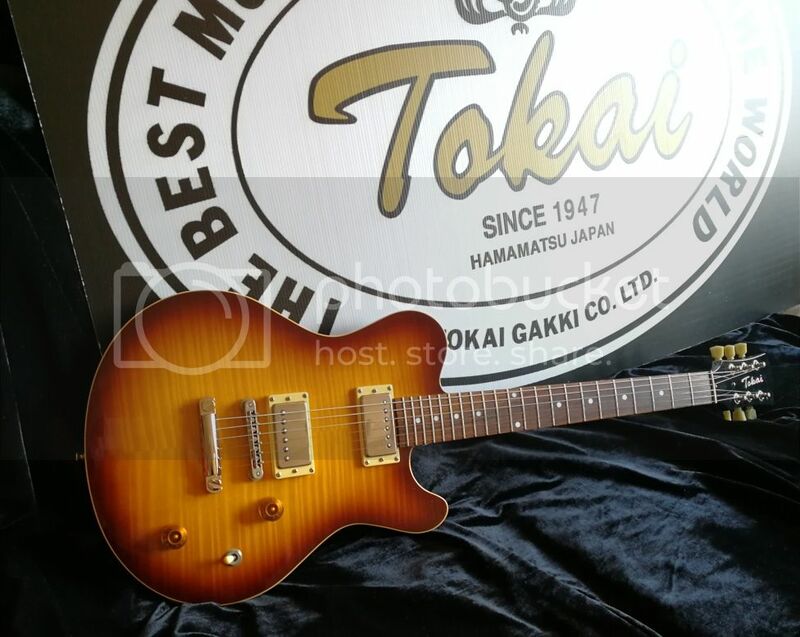 Mine came stock with a Tonepros bridge, the one with those little irritating circlips tghat stop the saddles from moving, thing I'm gonna change it to a Gotoh because those circlips keep disappearing. You have one of the real 60th models, correct? 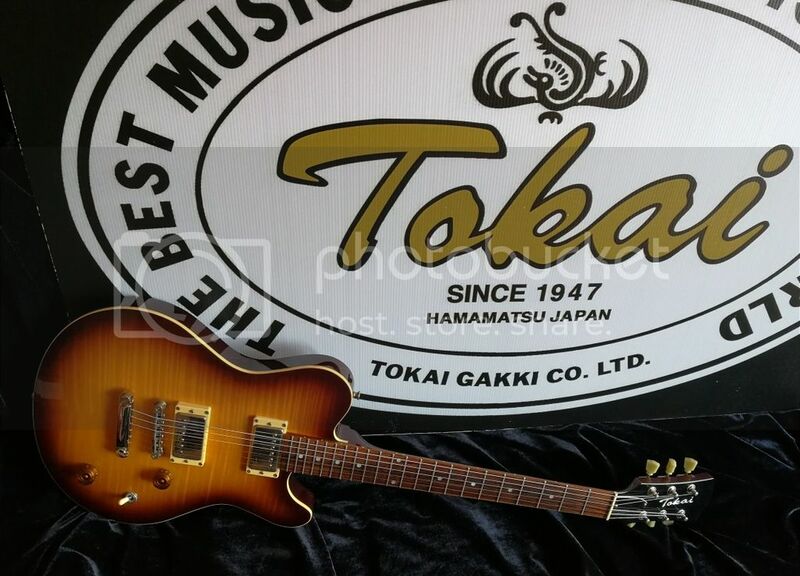 I just sold mine - to help finance a spotless 1959 Gibson ES125 T - thinline hollowbody with one killer P90. I've strung it up with heavy flatwounds to have around the house to plink on unplugged and plugged in. Working on my jazz chops. Yes to all you said about the Anniversary - an absolutely fabulous playing and sounding guitar. I had many years of enjoyment with it. Yours is gorgeous. 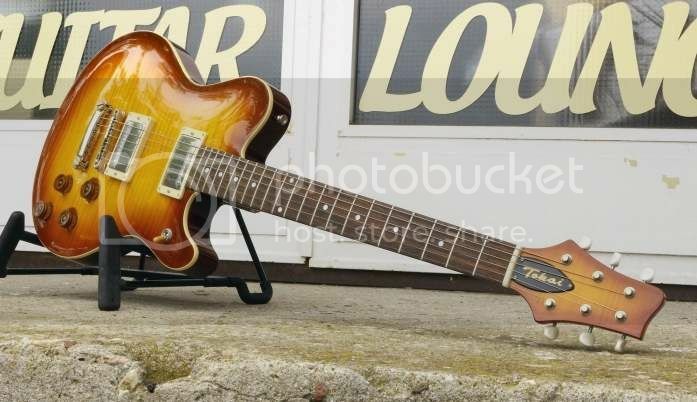 Looks much better with the tail piece, original just doesn't look right, sort of cross between a Tele and an LP? Was it some sort of prototype, or was that an actual production guitar, forgive my ignorance! 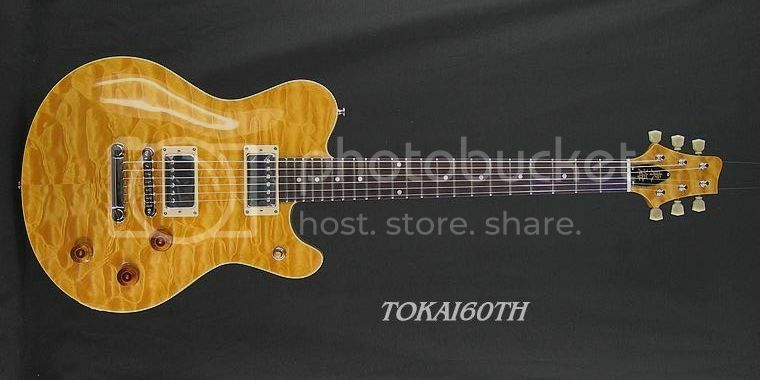 It was/is not a production guitar for Tokai - it only came out for Tokai's 60th anniversary (hence the name) in 2006/2007. 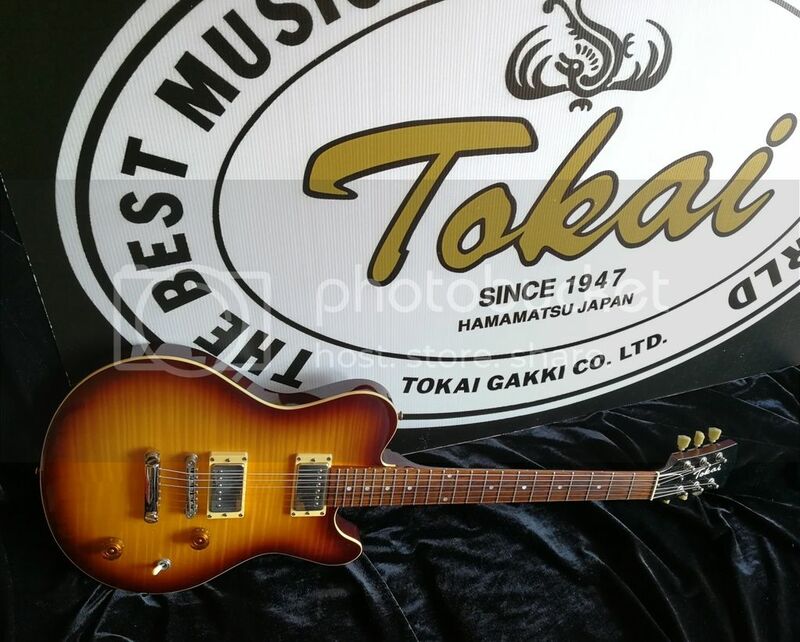 I believe that the German Tokai distributor at the time and forum friend was instrumental in their design and production. Specs on them were equivalent to the LS150 from that time - with the exception of a poly finish instead of nitro. Fantastic guitar - one of the best neck profiles I've ever played. Wide and chunky. There were two models, mine was the lower end one. The high end ones were awesome...wish I could get a few of them. Here's an old thread I found on the Anniversary model..... some pics of mine in it.